Serendipity In Learning: Is Planning For Everything Ideal For Learners? We’re used to learning with the help of instructions, having guidance on the topics we should study and how to approach subjects. Even search engines are designed to show the most relevant results based on a computed likelihood that certain information relates to our query. Are we missing something with this approach? Many intellectuals think so, and point to the value of serendipitous experiences enriching our understanding of the world. As John Seely Brown, former Director of Xerox Parc, puts it, “You know what kind of question doesn’t work too well with Google? It’s ‘please tell me what I need to know that I don’t know I need to know yet.’ It turns out that not many answers come up.” Acknowledging and engaging with unplanned events, as well as less structured information sources, may be highly beneficial to learning. So here’s to serendipity. At a basic level, the English word ‘serendipity’ refers to an unexpected and pleasant discovery. It was coined in the 1570’s by Horace Walpole. When defining his word in a letter, Walpole described how it derived from a much older fairy tale, The Three Princes of Serendip. Even with changes in connotation, the experience itself is well-known. Serendipity is that moment when you stumble on something, you’re inspired to pursue it, and you go on to make new connections or are enlightened by a different perspective. It’s the book you spot while wandering in a library, which ends up changing your view of the world. Colman gives historical examples like Alexander Fleming’s search for, and discovery of, penicillin in 1928; and Wilhelm Roentgen’s 1895 discovery of X-ray radiation. Both arguably serendipitous experiences for the scientists. In addition to enabling big scientific discoveries, serendipitous experiences are valuable to learning at a personal level. In fact, educational methods like the Waldorf and Montessori are based on engaging children by building on serendipity and interest. And with good reason. The surprise of stumbling on new connections is a big reward for the mind, like winning a small lottery. A personal sense of discovery also stimulates an emotional connection, which in turn helps us to retain information. The elements of surprise and discovery in a serendipitous experience actually give a sense of control and direction to learning. This fosters engagement with material and can contribute to reaching a state of flow. Flow is a mental state first recognized by Mihály Csíkszentmihályi. It’s described as a highly focused state of mind and often referred to as being ‘in the zone’. In such a state of immersion, learning new material feels intrinsically satisfying and fosters further interest. We can do more than just acknowledging the value of this universal—and occasional—experience. We can actually harness it. In fact, many businesses have already embraced the history lesson. Companies like Yahoo, Google, and Facebook try engineering serendipity in the workplace. Their goal is to foster a work environment that leads to more innovation due to chance encounters. One common technique is designing office spaces where chance encounters and conversations with colleagues are likely to occur. The library book stacks as high as the walls filling up the whole floor generate the sense of awe and adventure… When our sensory organs are engaged this way, we do not experience the boredom and tediousness that we usually feel when we scroll up and down a very long list of databases and journals on a library web page… attention is present and focused on that physicality. So much so that we even forget that we were there to find a certain book or to work on a certain research topic. It is often at these moments that we serendipitously stumble upon something relevant to what we were looking for but have forgotten to do so. what is essential to efficient browsing boils down to how easily (i) we can scan through many different books (or information units such as a report or an article) quickly and effectively and (ii) zoom in/out and switch between the macro level (subjects, data types, databases, journals, etc) and the micro level (individual books, articles, photographs, etc. and their content). If libraries can succeed in designing and offering such interfaces for digital information consumption and manipulation, the serendipitous discovery and the efficient browsing in the digital library environment can not only match but even exceed that in the physical library book-stacks. The Project Blacklight framework for institutional platforms, used by several universities. Although institutions focus primarily on creating environments for people, there is more to a serendipitous experience. It requires personal engagement. As individuals, we can actively seek serendipity. First, it’s important to break down our understanding of serendipity in a systematic way. This will help us create our own opportunities. In The Art of Recognising and Fostering Unexpected Potential – A Systemic Approach to Change, James Lawley and Penny Tompkins propose a perceptual model of serendipity. In this model, 6 components are necessary for a successful serendipitous experience. ‘E’ is the event which, with hindsight, proves to be serendipitous. E-1 is a time before E, E+1 is a time after E, and so on. E: An unplanned and unexpected event happens. E+1: There is a recognition of the potential for positive significance in the future. E+2: At some point action is taken which aims to amplify the potential for positive effect of E.
E+3: Over time there will be effects of the action and of other things happening, which can be utilised to further amplify the benefit of E.
E+4: The value of the original event and the subsequent effects becomes apparent—at which time serendipity can be said to have taken place. Look for X and find Y unexpectedly. To take advantage of an opportunity for serendipitous discovery, we should be willing to engage with topic Y even if we’re looking for something different. Look for X and find X by unexpected means. Find an unexpected use for X or Y. If we’re looking for topic X, we may gain from trying different means of finding it. Additionally, unexpected findings may be valuable, and shouldn’t be dismissed right away. According to a different model by Gary Fine and James Deegan—now at Northwestern University and the University of Limerick respectively—these are examples of analytic serendipity. They involve discovering concepts or theories that produce compelling claims, or coming across an idea that changes your existing understanding of a topic. Fine and Deegan point out that we should also be aware of the opportunities from temporal and relational events. Temporal serendipity happens on a dramatic instance, like a book falling onto your head. Maybe you should open it. Serendipity relations include unplanned building of social networks, like bumping into someone who shares your interests but has a different perspective. Engage in a conversation and try to understand where their view may contribute to yours. Choose your environment for maximum opportunity. Ilona Buchem, from Beuth University, suggests that environments rich with random, or seemingly random, information are crucial. Develop practices that put you in new and unexpected situations. Purposefully pursue topics you know little about and think how they connect to what you do know. Engage with people by deep listening and reciprocity, with media by thinking and connecting it to what you know. Be ready to meet and talking to people from different backgrounds. Invite someone you don’t know to study or partner a on project, and seek people you wouldn’t usually work with. Spend time browsing. If something looks interesting, dive in. Anna is an information science researcher who has worked closely with professors and educators in the United States and Denmark. She’s interested in how people seek, access, and interact with information. Anna received her master's in Information Science and Cultural Communication from the University of Copenhagen. 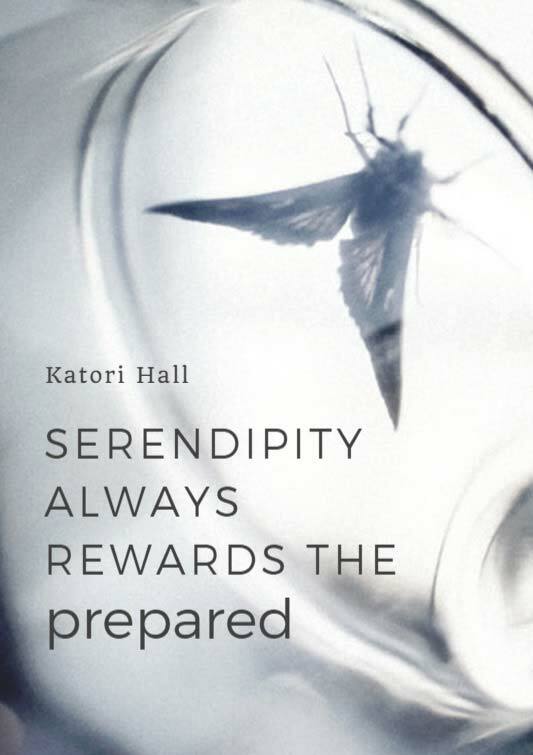 Having been involved in research and technical management throughout my career, serendipity was the vehicle that helped me explore the different possibilities and draw conclusions and possible meanings to what I encountered. As a result, I have gone into storytelling and visualization as techniques for designing technical training courses which I also taught to others. At first my students were all smiling with amusement but when they tried it in designing and delivering their own technical courses, they affirmed that these truly open the mind to many possibilities and it was fun. Thanks for the article.